You just can’t “beet” this red root vegetable when it comes to versatility. The beetroot or just “beet” is currently in season and can be enjoyed several different ways such as roasting or kept raw and shredded into a salad. It is a great source of folate and manganese. Some research shows that the natural nitrates may help with athletic performance. It also may be protective against heart disease! What can’t this tuber do?! Well, one thing that it isn’t good at is being broken down by your body. A harmless phenomenon called beeturia is responsible for people to experience a reddish hue to their urine and stool. This is caused by the inability to break down a compound called betanin. 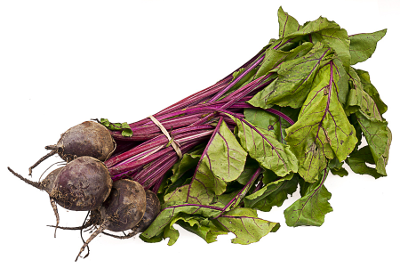 Betanin is also responsible for the red hue found in beets. If you are choosing beets for your next meal, be sure to save those greens. These beet greens are a good source of protein, fiber, vitamin A, vitamin C, iron and antioxidants. Feel free to use them mixed with other greens in a salad or substitute for spinach and sautee in your favorite dish. For more ways to introduce beets into your diet, check out Fruit and Veggies More Matter. Did you know that September is National Rice Month? Well now you do! Celebrate this ubiquitous food by experimenting with North America’s indigenous rice: Wild Rice. 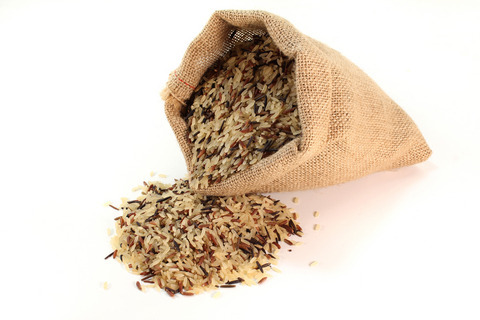 As strange as it may be, wild rice is not exactly a rice, rather it is classified as a whole grain. That doesn’t mean that you can’t try it in dishes that traditionally use regular old white rice, such as a pilaf or even try using it in a cold salad. Wild rice has a higher protein content than other rice and also a good source of minerals such as magnesium, manganese, phosphorus, zinc and also B vitamins such as niacin. It is naturally gluten-free and a great source of antioxidants as well. Some other interesting facts about wild rice: you can pop it just like pop corn by heating some in some oil until it pops! To cook wild rice, use a 1:3 ration of dry wild rice and liquid (water or stock) and heat until it boils. Reduce the heat, cover and simmer for about 35-50 minutes or until the rice starts to burst. For more information and recipe ideas check out the Whole Grains Council website. Looking for a low calorie snack to munch on? Try some popcorn! Popcorn is a 100% whole grain food. It is packed with fiber, which is great for your digestive health and helps to keep you fuller for longer. 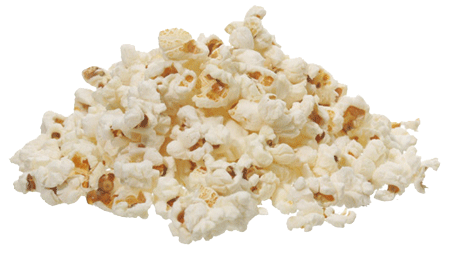 Three cups of popcorn is considered 1 serving and about 100 Calories. Your best bet is to make it yourself, so you can avoid any trans fats and excessive sodium that may be lurking in the packaged stuff. Feel free to use your own air popper or for an even easier way to enjoy this crunchy snack, try this simple recipe below. Put the popcorn kernels in the lunch bag. Fold the top over a couple of times. Microwave for about 1:45-2:00 minutes (time will depend on your microwave). Carefully take out of the microwave, it will be hot! Spray with some of your favorite olive oil, crack some fresh pepper and sea salt on top. Or try sprinkling 2 Tbsp of Parmesan cheese and some garlic powder. Have your kids get involved and let them try their own creation. The choices are endless. Enjoy!